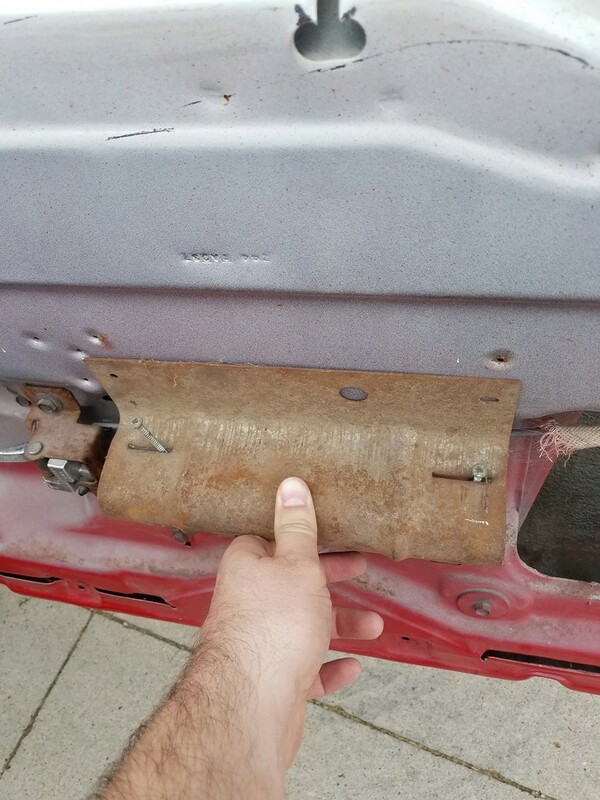 Looking for set of armrest brackets for 1973 Chevelle. Yes, mine were lost in the flood here in Baton Rouge in Aug. If you can't find them, I have a pair.. Thanks fellas, have a pair on the way! Is there a difference between the arm rest bracket and the year of the car/door? I think my doors are off of a '74/'75 Chevelle and my brackets are from my original doors which was a '77 and they won't fit on my current doors. The bottom tabs will fit in the slots but the screw holes are way off and are higher on the door than on the bracket. Hawk03 wrote: Is there a difference between the arm rest bracket and the year of the car/door? I think my doors are off of a '74/'75 Chevelle and my brackets are from my original doors which was a '77 and they won't fit on my current doors. The bottom tabs will fit in the slots but the screw holes are way off and are higher on the door than on the bracket. Here is a picture of my arm rest brackets on the door. I inserted the tabs into the holes but the screw holes do not line up. The tabs are all the way in and if I move the bracket to line up with the screw holes, the tabs will come out of the holes. Are there different brackets I need? Don't have an answer to your question as I thought that they would all be the same since the lower door panels/armrests are in the same location. I measured the width (top to bottom) of one I just took off a spare '74 Chevelle door I have and it measures 9 3/4" dead nuts from top edge to bottom of tab when set on the ground. And no offense, but I'm not going to remove the door panel on my '77 Monte to confirm. I'd just install the tabs and drill new holes at the top. Then, test fit your door panel/armrest.